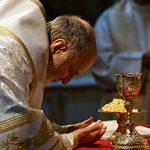 The Ukrainian Catholic community in the United States is rejoicing at the news that Pope Francis has appointed a new Metropolitan-Archbishop for the Archeparchy of Philadelphia on February 18, 2019. A native of Syracuse, NY, Bishop Borys Gudziak, will be formally enthroned on Tuesday, June 4, 2019 in the Ukrainian Catholic Cathedral of the Immaculate Conception in Philadelphia, PA. You are cordially invited to join us for this moment of prayer, communion and outreach, uniting bishops, clergy, religious and faithful as brothers and sisters in Christ. Engaging the youth “heart to heart,” putting young people at the center of the Church’s mission. Recognizing the rich legacy of our ancestors and handing it on, enhanced, to a new generation. We are hoping to have the June 4th enthronement Liturgy televised on EWTN. How wonderful will it be to share this historic event with people and youth around the world! By having this recorded and broadcasted, we hope to evangelize by sharing the word of God through the symbolism and richness of the Byzantine rite. Another event planned is a Youth Day on Saturday, June 8th at the Ukrainian Catholic Cathedral in Philadelphia. We are asking youth from the Philadelphia Archeparchy as well as those in neighboring eparchies to come join us for a day of prayer and fun! The enthronement, the Youth Day, and the other community-building activities all have costs associated with them. Please find it in your heart to give generously to the Archeparchy of Philadelphia for the inauguration of ministry of Archbishop Borys Gudziak. Please click on the link to donate online for the purpose of the “Heart to Heart” program: Donate by credit card or PayPal: www.ukrarcheparchy.us/donate. 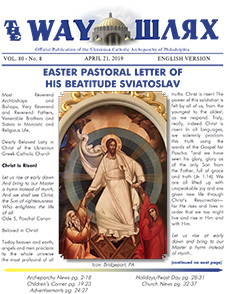 Or you can send a check payable to “Ukrainian Catholic Archeparchy of Philadelphia”, and mail to Archeparchy of Philadelphia, 810 N. Franklin Street, Philadelphia, PA 19123 (attn. : Enthronement). Your donation will help us make this historic moment of celebration a start of a new and exciting journey of the Ukrainian Catholic Church in America. From the bottom of my heart, thank you in advance for your donation. May God bless you on this day and always! P.S. Anyone who plans to attend the Enthronement is asked to register on our dedicated site through coradcor.us.